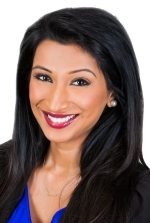 Please find pasted below an excellent article by my colleague, Sabina Arulampalam, on pre-trial conferences and the Ontario Superior Court's recent decision in Prabaharan v. RBC General Insurance Company. The article originally appeared on The Lawyer's Daily website published by LexisNexis Canada Inc.
Pretrial conferences are an important and mandatory step in the civil litigation process in Ontario. In addition to potential case management steps, one of their principal purposes is to explore the possibility of settlement. For this purpose to be achieved, each side must come to the conference fully acquainted with the facts and legal issues in the proceeding. Further still, it is also an opportunity for each side to receive guidance and feedback from the presiding pretrial conference judge. Based upon the contents of the pretrial conference memos and other evidence (such as copies of expert reports) the presiding judge can discuss with a party the strengths and weaknesses of their case and assist the parties in re-evaluating their (and their opponent’s) position on settlement. Accordingly, timely exchange of expert reports is an essential element of the pretrial conference and trial process. Rule 53.03 spells out the prerequisites for the admissibility of expert testimony. To be admissible, absent the parties’ agreement on a timetable for the service of expert reports, the expert’s testimony must be disclosed in a report that complies with Rule 53.03(2.1). Expert reports must be served, in the first instance, no less than 90 days before the pretrial conference (Rule 53.03(1)). Responding expert reports must be served no less than 60 days before the pretrial conference: Rule 53.03(2). Where one or both parties fail to follow the rules, one of the prime purposes of the pretrial conference cannot be achieved. The time of each is wasted, and the otherwise useful feedback cannot be provided. Further, it also has the possible result of clogging the system with a case that should have settled at (or in the wake of) the pretrial conference, but could not because inadequate information was available at the relevant time. Mindful of the function and value of pretrial conferences, inPrabaharan v. RBC General Insurance Company2018 ONSC 1186, Ontario Superior Court Justice David Stinson ordered the defendant to pay the costs of the pretrial conference in the sum of $2,600 for failure to have expert medical reports available at the pretrial meeting in “flagrant disregard” of theRules of Civil Procedure. Prabaharaninvolved a 2012 action. At trial scheduling court in February 2016, a pretrial conference date was fixed for Jan. 10, 2018, and the trial was subsequently scheduled to proceed during the June 2018 sittings at Toronto. The plaintiff retained and instructed most of her experts well in advance of the scheduled Jan. 10, 2018 pretrial conference. She served a series of medical and other expert reports, and addenda as follows: on Sept. 5, Sept. 18, Oct. 20, Oct. 31, Nov. 21, Dec. 3, Dec. 18 and Dec. 27, 2017. While not all of these reports were served 90 days before the pretrial conference (and some were not required to meet that deadline because they were addenda) it was apparent to Justice Stinson that the plaintiff was endeavouring to disclose her case — and in particular the requisite medical and expert evidence — in advance of the pretrial conference, as required under the Rules. In contrast, Justice Stinson took note that the defendant served no expert reports prior to the pretrial conference. The defendant did not take any steps to request the plaintiff to attend for, or to arrange, defence independent medical examinations (IMEs) until less than one week before the pretrial conference. Indeed, according to defence counsel, his client failed to provide instructions to proceed with defence IMEs until one week before the pretrial conference. The defendant’s failure to serve its experts reports on a timely basis — or even to take any steps in furtherance of this obligation — was found to be a flagrant breach of the requirements set out in Rule 53.03(1) and (2). To require the plaintiff to provide medical evidence to meet the requirements as set out in the Rules yet be unprepared to disclose the defendant’s case on that fundamental issue in response was found to be grossly unbalanced. Justice Stinson was clear that a defendant cannot defer indefinitely its duty to provide responding expert reports. The quantum was fixed on the substantial indemnity scale, but ultimately reduced by one-third as Justice Stinson was unable to overlook the fact that the plaintiff did not fully comply with the Rules regarding the timely service of her expert reports. This case confirms the important function of pretrial conferences and serves as a reminder to all counsel with respect the duty to comply with the Rules regarding the procurement and service of expert reports well before the pretrial conference. In addition to the practical consequences, the court has affirmed that costs consequences under Rule 50.12may appropriately follow in the event of a party’s non-compliance. Sabina Arulampalam is an associate withHughes Amys LLPwho practises civil litigation with an emphasis on insurance defence in the areas of accident benefits and priority/loss transfer matters. © 2018, The Lawyer's Daily. All rights reserved.